Today we continue our journey on exploring the five senses. We had science experiments about colors and sounds. Today we study the sense of smell. Most of us can smell. There are smells every where, good and pleasant smells, bad and nasty smells, … But why can we smell? Where are the smells from? Why there are so many different smells? How does smell affect taste? 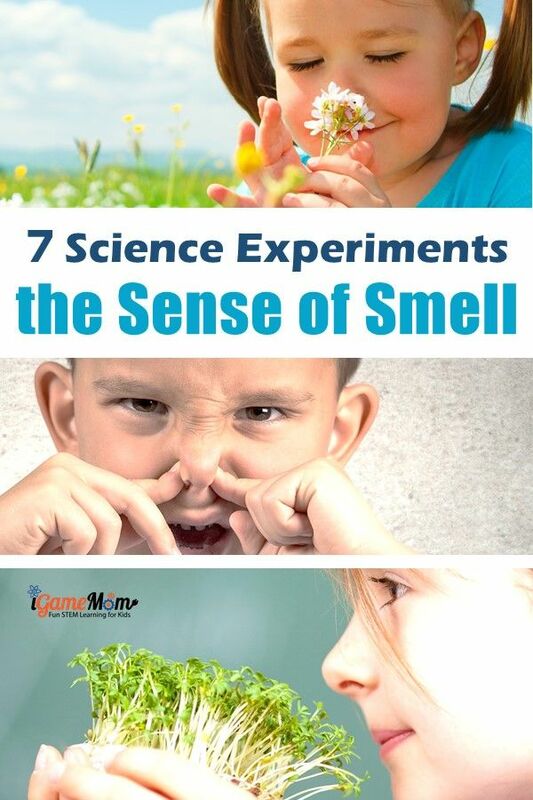 Here are some fun activities for kids to learn about the sense of smell. We may not be able to answer all your questions about smell, but we sure are able to help you to learn more and think more about the smells. Why can we smell? This short article explains about nose and how the smell signals are sent to our brain. It even explains how smell impact our taste. 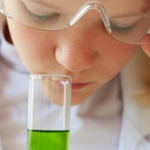 This is a smart science activity design for kids to learn about smell, a tea bag match game. Kids not only learn different smells, but also learn how the pictures and colors can help them identify the smell. To expand the smell test to other objectives, you can pick some other items for a smell test: garlic, coffee, bread, chocolate, lemon, orange peel, vinegar, ginger, black pepper, onions, cilantro, cinnamon, various fruits, such as apple, peach, banana, mint. All these are food, and safe to kids to smell and touch. Some non-food items you can use: dirt, pine needle, grass, leaves, flowers. Or you can do a food hunt by smell. Collect some food and non-food items from the list above, and put them in a covered small container, like empty yogurt container. Ask kids to smell each and tell you what they smell and if they want to eat what’s in the bottle. At the end, reveal the items in the containers, and see how many of those they claimed they want to eat are eatable. Another fun smell activity is to identify family members’ clothes by smell. Have kids blindfolded, and pick some family members’ clothes and let the kids smell and guess whose clothes they are. This activity will tell kids that we all have certain smells. I found this painting by spice idea, and think this is a great activity combining art and science. Find all the spice you can, and mix them with water or oil, and start painting based on the smell. How fun is that? While this is an activity that is hard to control the timing, but when it happens, it is a fun science to talk about. Why fart smells? and why the person who farted is the last one to smell it? Find the answers in this article. You can also find information on fart food, and learn what happens if you fart in space. Now we learned different smells, it is time to test who is the most sensitive to smells. Find 3 different perfume or fruit juice with strong smell. Prepare 9 empty spice bottles (or other small bottles), and fill them with the same amount of water. Drop each perfume in 3 bottles, each with a different number of drops, say one bottle with 2 drops, one with 5 drops, and one with 10 drops. Make sure to mark each bottle with the perfume and the drops at the bottom of the bottle. Now have kids smell each bottle and see if they can smell the smell from each bottle, if not, which one they can smell, and which one they can’t. 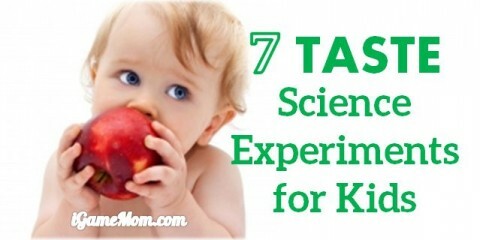 You may have to adjust the number of drops to adapt to each child’s sensitivity. Hopefully the children will find out that we all have different sensitivities for different smells. 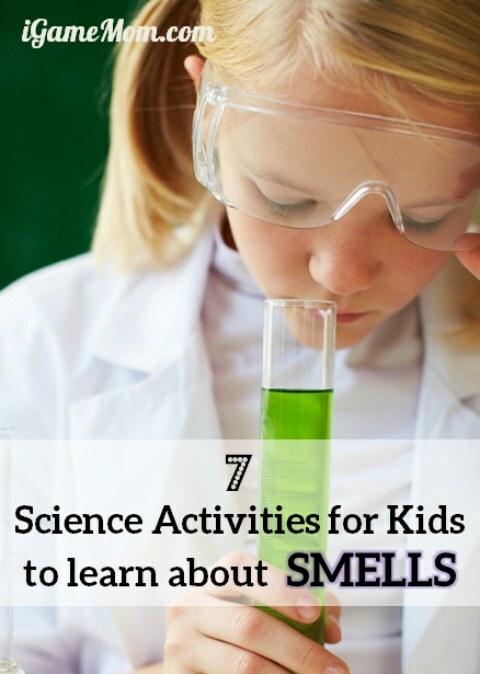 Do you have fun smell activity ideas? Please share! 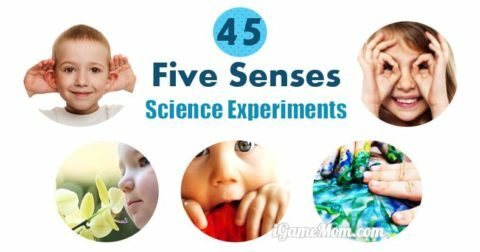 To find more science activities for kids about the five senses, visit 45 Science Activities Teaching the Five Senses. 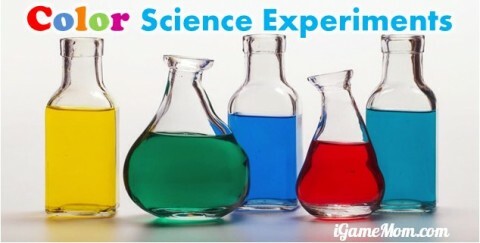 You will also like Science Experiments for Kids to SEE Sound and Science Experiments for Kids about Colors. 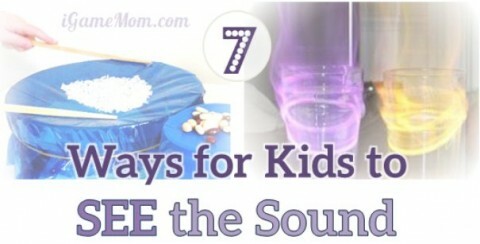 What a interesting activities for kids! Thank you for sharing this! You make the statement, “We all can smell.” Just an interesting side note that not all of us can. I have no sense of smell at all, and neither does one of my sisters. Nada, and never did. Confirmed by testing at a Taste and Smell clinic that it was congenital for both of us. So just like some are born blind or deaf, some are born unable to smell. It’s neither here nor there to your experiments for kids who can, just thought I’d point it out. Thanks so much for pointing that out. I will update the post.